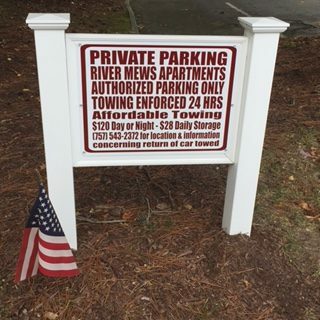 Do you manage a property in Newport News and in need of an experienced and reliable tow company? No worries, Affordable Towing & Recovery is located on Jefferson Avenue and can handle all of your tow needs. We offer a free service. Such as, no service fee’s, free tow signs, free passes and decals, free re-locates and much more! We have twenty years of experience in the industry and are the only vendor who covers the Southside and the Peninsula. Call one of our representatives today to get more information about our company and services at 757-543-2372!